We now move away from the classic space trading sim Wing Commander: Privateer and on to... well another spaceship game except one with a top-down perspective, a shareware model and I assume a smaller budget. While the game had a pretty choice concept I think it suffered from having a low budget (I'm still mighty impressed though that the game was developed by just one man: James Schmalz). The music was done by Dan Froelich who also composed music for the platformer game Jill of the Jungle. 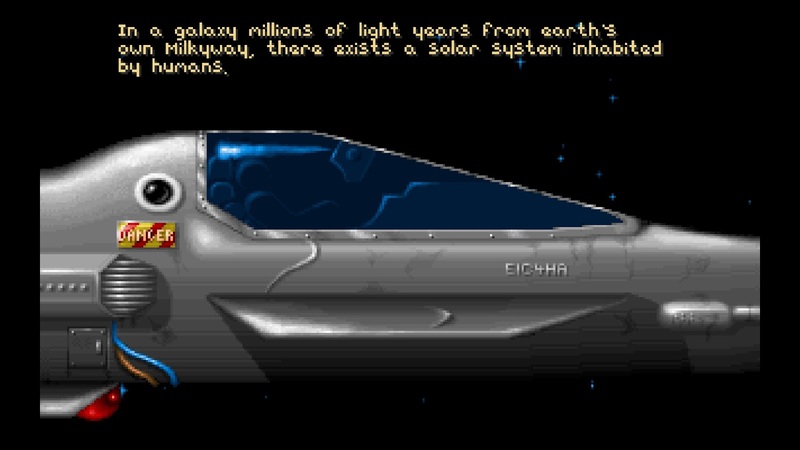 While I don't think I got very far with Solar Winds, probably because I never ended up buying the game and just playing the shareware version, I still remember the particular music featured in today's Choicest VGM post. Gotta love the syncopation. Thanks to Teppica for providing these memorable tracks.